Ultimate LookBook of Bridal Nose Ring Designs 2016 is here! Yay! The wedding carnival has been declared open. With all the fanfare surrounding the celebration, the bride enters with all her glam intact set to steal the show. Walking beneath a phoolon ki chaadar or arriving on a palki dressed in a designer bridal lehenga, wearing exquisite pieces of polki, mehndi painted hands, complete with chooda and kalire and that elaborate maangtika. She looks like a dream. However amidst all this jazz, what sets off the charm of bridal glory is the classic bridal nose ring. So this week we showcase the ultimate lookbook of bridal nose ring designs of 2016! Quickly get scrolling to view the latest designs of silver, gold and diamond nose rings, as well as heavy to lightweight patterns and forms in which they’re now available in the market. Do not want to get your nose pierced? 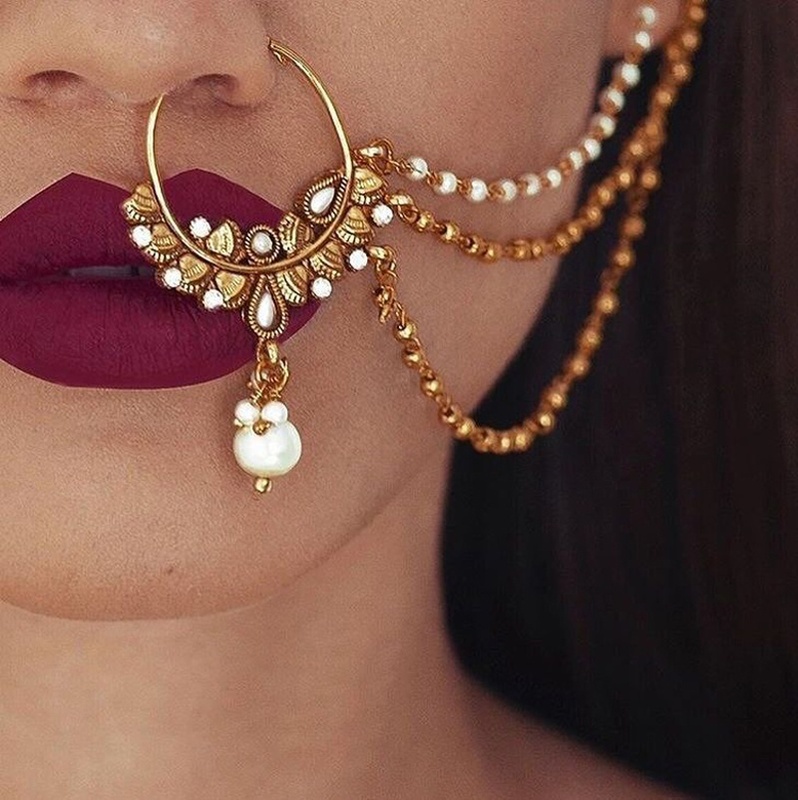 Most bridal nose rings are now available as clip ons, so a piercing or not, you can still look like the quintessential Indian bride.